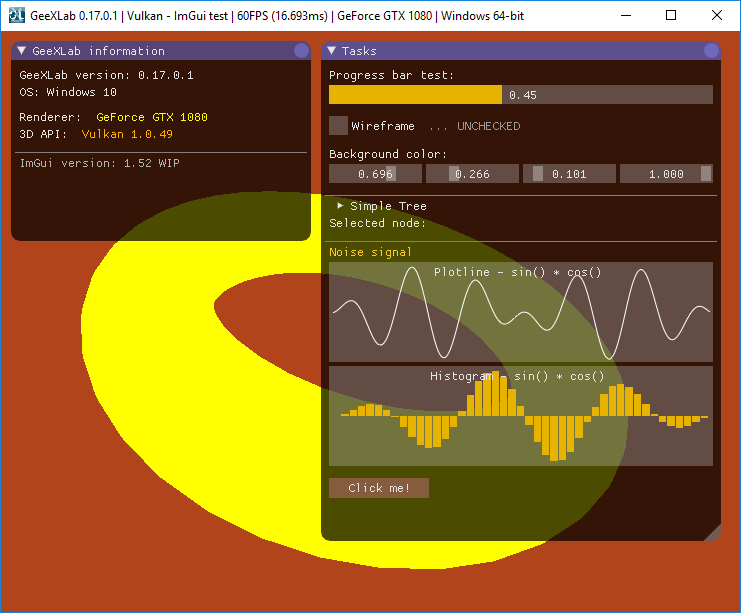 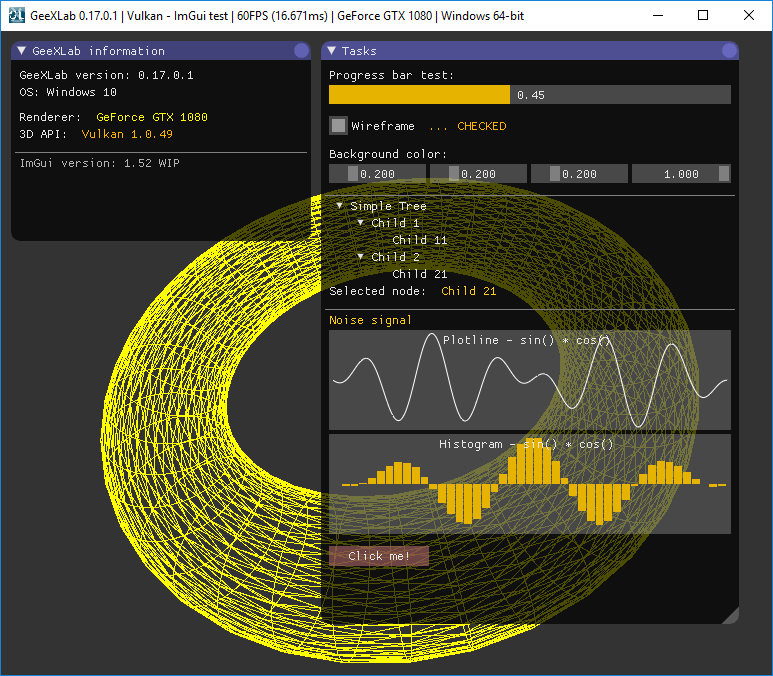 ImGui support added to the Vulkan plugin! 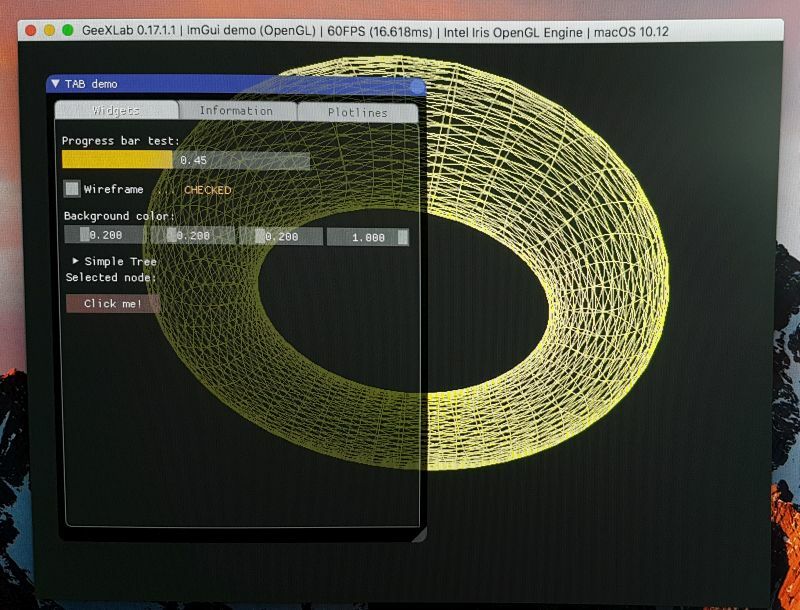 In the following demo (Vulkan), the checkbox allows to switch from wireframe to solid rendering. 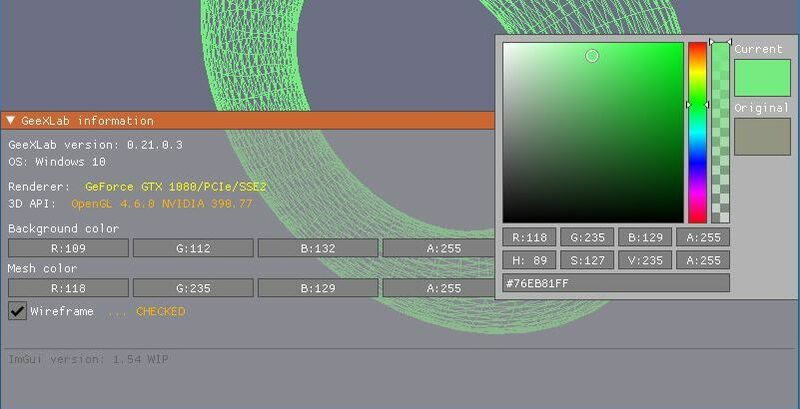 The 4D slider allows to change the background color. 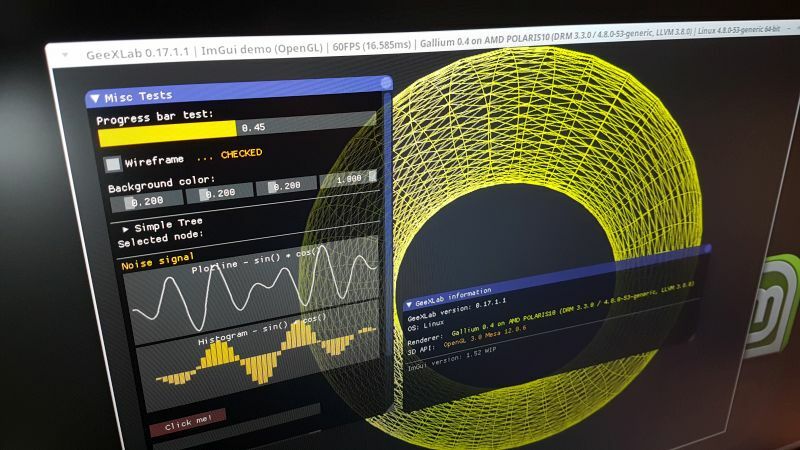 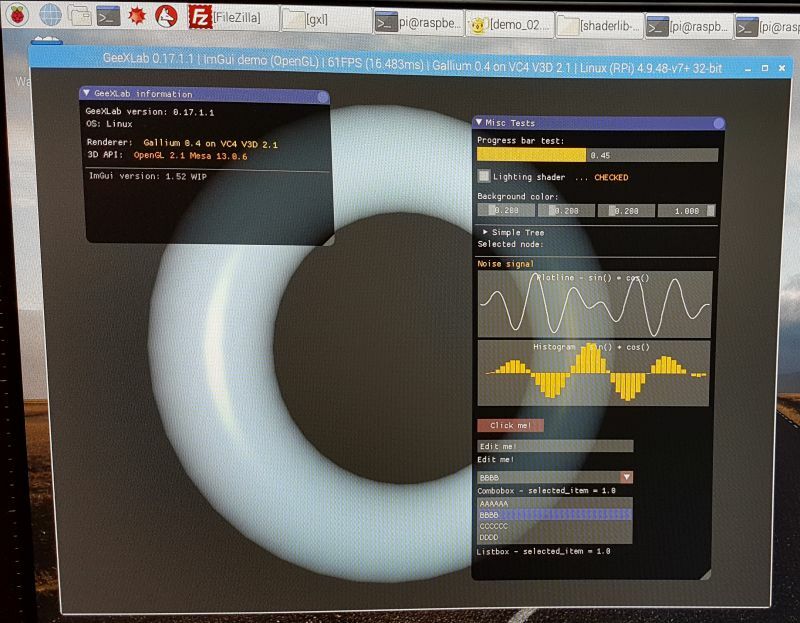 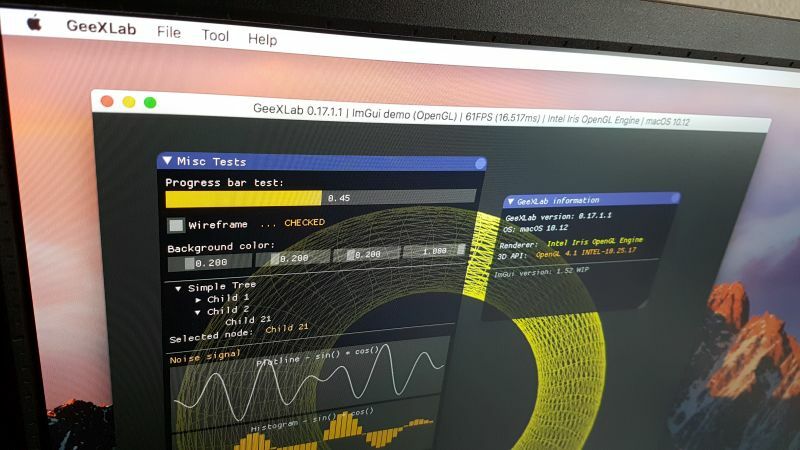 Added in upcoming GeeXLab 0.17.1.1: ImGui support for Raspberry Pi OpenGL 2.1 and OpenGL ES 2.0 render paths. 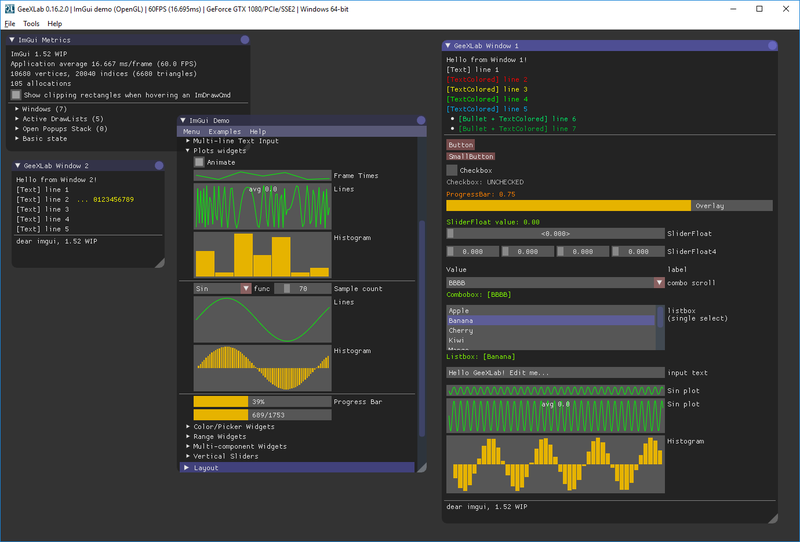 Added support of tabs in ImGui using imgui_tabs.